Dear EarthTalk: Are there any flea and tick products out there that don’t contain toxic chemicals? Surveys show that as many as 50 percent of American families report using some kind of flea and tick control product on pets, subjecting untold millions of children to toxic chemicals on a daily basis. Harmful pesticides in mainstream flea and tick products are indeed hazardous to more than insects. The active substance in most of these products is likely one of seven common organophosphate insecticides (OPs), which work by interfering with the transmission of nerve signals in the brains and nervous systems of not just insects—most of whom die on the spot—but to a lesser degree in pets and humans as well. While it would certainly take an awful lot of exposure to OPs to affect a full-grown healthy human adult, no one is sure how the chemicals might affect children or those with pre-existing nerve disorders. The non-profit Natural Resources Defense Council (NRDC), which authored the 2000 report “Poisons on Pets” (results are online at the group’s GreenPaws.org website), reports that “studies with lab animals have raised concerns among scientists that children exposed to certain of the pesticides in pet products—even at levels believed to be safe for adults—face much higher risks, not only for acute poisoning, but also for longer-term problems with brain function and other serious disease.” The group adds that children’s behavior—notably toddlers” hand-to-mouth tendencies and the fact that kids play where such toxins often accumulate—makes them more vulnerable to ingesting OPs than adults in the same household. The magnitude of the potential risk to public health is what makes the inclusion of such chemicals in pet products so troubling: Surveys show that as many as 50 percent of American families report using some kind of flea and tick control product on pets, subjecting untold millions of children to toxic chemicals on a daily basis. Initial research also shows that thousands of pets may be sickened or die each year as a result of chronic low-dose exposure to OPs through their flea and tick collars. Fortunately, several non-toxic alternatives to OP-laden flea and tick control products are now available. NRDC tested upwards of 125 pet-oriented flea and tick control products for its Poisons on Pets report and found less than two dozen that don’t contain harmful chemical compounds. Stripe-On formulations from Adams, Breakthru, Demize and Scratchex get high marks from NRDC for low-toxicity, while tabs (pills) from Comfortis, Program and Sentinel also make the safety grade. Hartz, which uses OPs in most of its product line, also offers some safer formulations (Spot-On, Advanced Care and Ultra Guard) for cats and kittens. These products rely on insect growth regulators, which arrest the growth and development of young fleas, rather than pesticides to simply kill them. NRDC notes, however, that even these safer formulations contain chemicals, and that all such products should be used with caution. One way to treat your pet but avoid chemicals altogether is to go the essential oil route. Oils from cedarwood, lemongrass, peppermint, rosemary or thyme have all been shown to be effective, when used sparingly, to keep fleas and ticks away from pets and their favorite haunts. Of course, a little conscientious legwork can obviate the need for any kind of topical or pill-based flea and tick control products, toxic or otherwise. 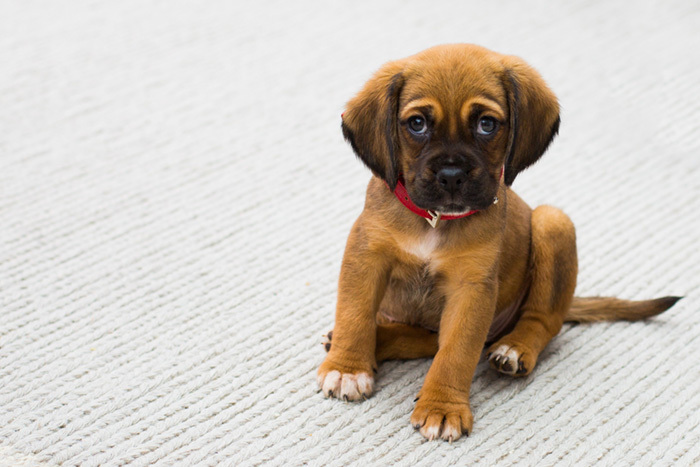 According to NRDC, frequent washing and combing of pets and vacuuming carpets and furniture can bring mild flea infestations under control and help avoid outbreaks altogether. 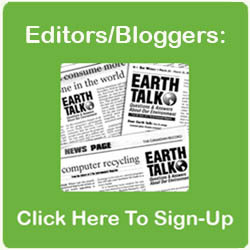 CONTACT: NRDC Green Paws; Scratchex; Sentinel; Comfortis; Hartz.